Hu Kitchen is a New York City cult favorite. The Fifth Avenue establishment has a hoard of loyal fans that flock to the restaurant for food that is delicious as it is healthy. Super smart siblings Jessica Karp and Jordan Brown set out to help people Get back to Human after they had their own personal health and food revolutions. The restaurant opened in 2012 and has gone from strength to strength. Most recently, Hu has undergone incredible architectural changes to make their always-busy restaurant more focused on experience. Speaking to Jessica and Jordan, their goal was to simplify navigation throughout the kitchen to make customers’ experience easier and enjoyable. 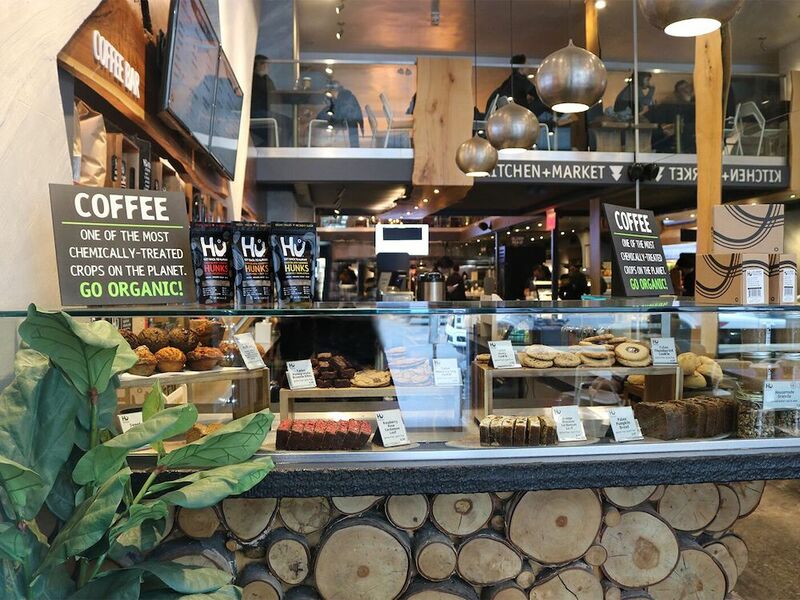 Though subtle, the changes drastically improve the flow of the restaurant, allowing more room for browsing the perfectly curated packaged goods as well as ordering their favorite dishes. Jessica and Jordan decided to update the flow simply by listening to their customers. The duo says they are constantly asking for feedback and looking to improve their customers’ experience. 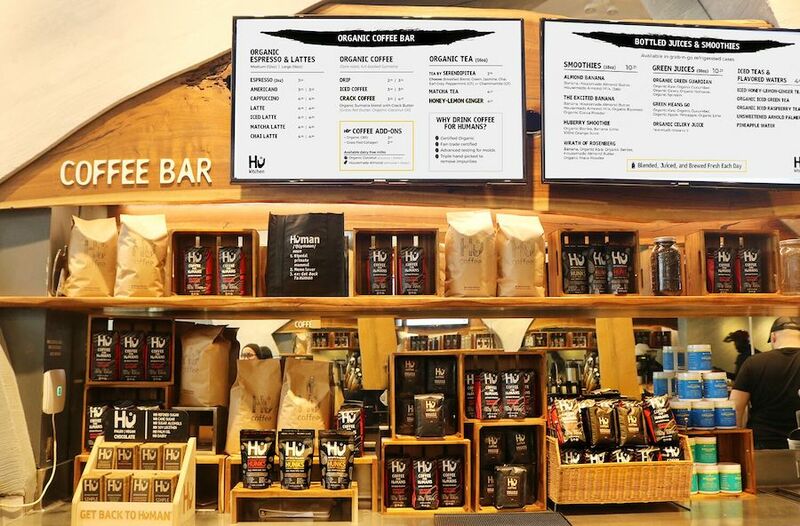 Hu also updated their Hotline menu with fan favorite daily signature specials such as the Grass Fed Beef Burger, Buddha Bowl, and Organic Rotisserie Chicken, in addition to the new Build Your Own Bowl station. Customers can choose a base and toppings to mix and match and make their very own customized feast. Another exciting update is the reintroduction of Happy Hour. Speaking to Jessica and Jordan they spoke of wanting to redefine Happy Hour. Usually, Happy Hour means awful drinks and food that makes you feel horrible mere hours after eating it. Hu will be serving up select organic wines and reimagined small plates including buffalo wings, chili fries, and sliders. Happy Hour will run Monday through Friday from 4:30 through 7pm. Hu will also be having Sunday Night Paleo Pizza Specials beginning this week. Visitors can enjoy paleo pizza with a variety of toppings with select wine pairings! Finally, no update on Hu would be complete without a mention of their cult chocolate. Their new flavors, like Earl Grey, are unsurprisingly flying off the shelves. Up next is the release of their baking chocolate which will be in April. It is sure to be delicious as Hu can truly do no wrong!